SABC Digital News spent time at HuskyRomi Wolf Sanctuary, alongside 300 hounds consisting of around 220 wolves, 50 huskies, hybrids and a handful of domestic dogs rescued from the surrounding area. 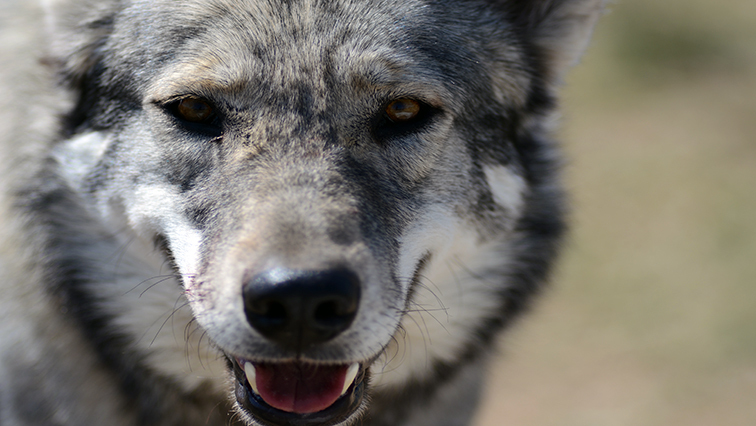 As South Africans, we are accustomed to wild animals and it’s not everyday that you hear about a wolf sanctuary. But if you take a two-hour drive from Johannesburg, you will find one the biggest wolf sanctuaries in the southern hemisphere. Larry Wayne Paul is the founder of HuskyRomi Wolf Sanctuary, a non-profit organisation providing a safe haven for abandoned and abused huskies and wolves in South Africa. He explains that when he started the sanctuary over a decade ago, he never expected the wolf population to take over as it did. There are 300 hounds on the property which consist of around 220 wolves, 50 huskies, hybrids and a handful of domestic dogs rescued from the surrounding area. There are even horses Larry took in from severe neglect and a cow named Moo. 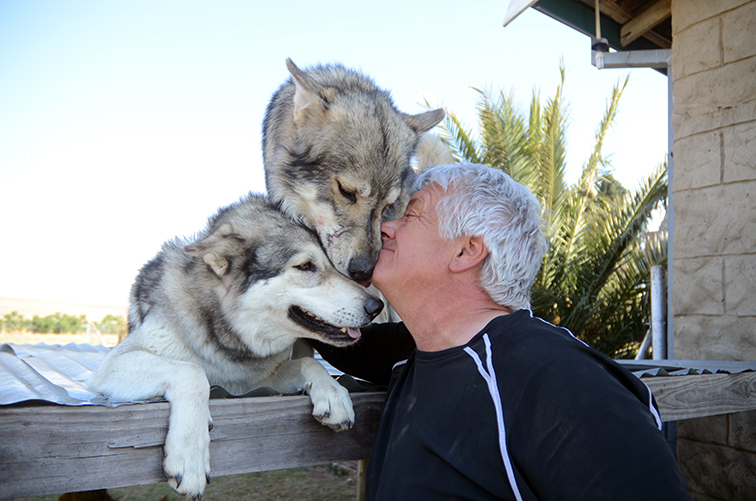 Larry Wayne Paul receives cuddles from two wolves. He knows the names and personalities of each of the 300 hounds in the sanctuary. He stresses that even though films and television shows make wolves and huskies look desirable as a pet, they take up a lot of effort, time and understanding. Israel Sikhosana has been working with the wolves for a decade alongside Larry. Sikhosana explains that he has a great passion when it comes to these four-legged creatures. 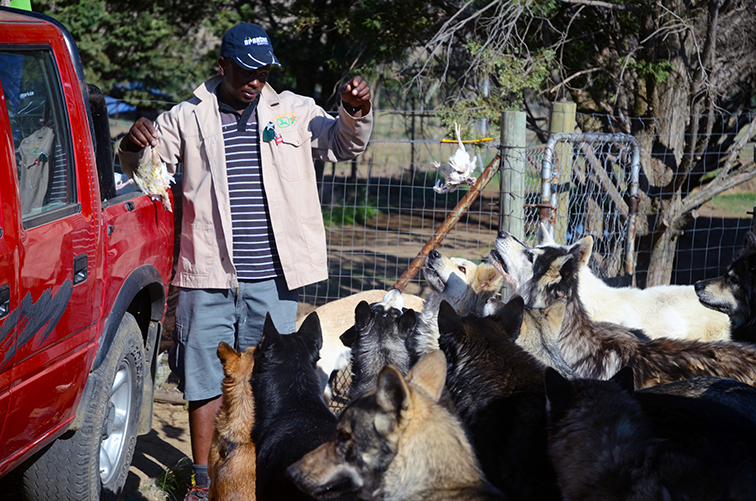 Hungry hounds line up as Israel Sikhosana takes care that each wolf, husky and dog receives their chickens. Wolves are not indigenous to the country and there are many rumours as to how the hounds made their way to the continent. One is that the South African National Defence Force (SANDF) or the police – or both – imported wolves decades ago to create a super breed dog, an initiative that obviously failed. 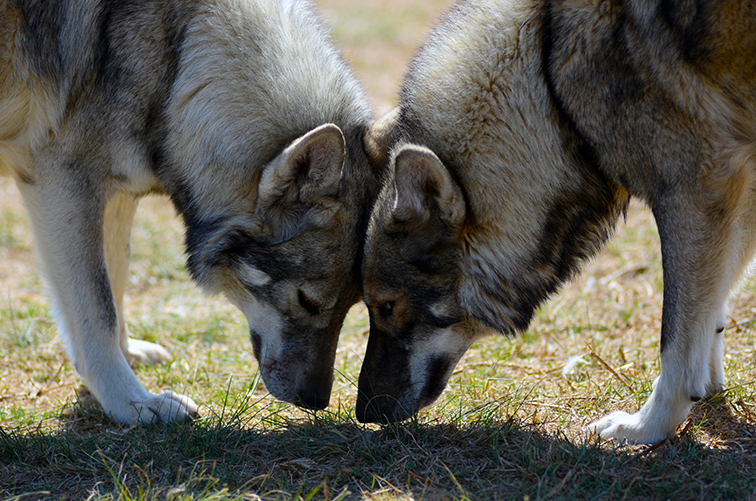 Backyard breeders are rife with even domestic dogs and the same can be assumed for wolves as breeders continue to sell these howling hounds to the public, creating the population we see today. Regardless of where the wolves came from, the fact is that there are a high number of wolves in South Africa, all of which are in captivity. It’s no secret that a high number of huskies end up in shelters in South Africa due their owners not being able to handle the high energy of this working dog. Larry explains that the breed of the dog is very demanding and not a choice in pet to be taken lightly. “The unfortunate part about a husky is that aesthetically it’s most probably the nicest looking pet. People see a gorgeous cuddly little fluffy ball and they want it. They don’t realise that they are taking home most probably the biggest nightmare in the world. Huskies are a very demanding breed as they are working dogs. It is a breed of dog that needs a serious commitment and understanding to own. Because of this many end up in shelters across SA. 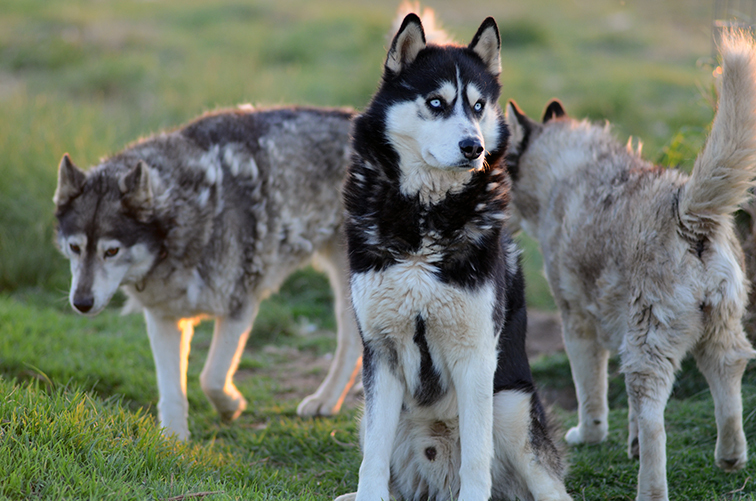 The HuskyRomi Sanctuary offers tours and even the opportunity to volunteer to live and work with the animals. Larry knows each hound by name and talks about their personalities and background at great length. Larry Wayne Paul explains that when he started the sanctuary over a decade ago, he never expected to wolf population to take over as it did. This entry was posted on 12 Sep 2018,08:18PM at 8:18 PM and is filed under Sci-tech, Homepage Featured Story Slider. You can follow any responses to this entry through the RSS 2.0 feed. Both comments and pings are currently closed.